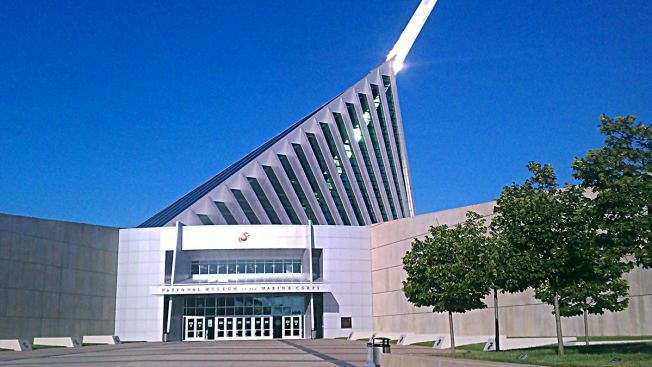 The National Museum for the Marine Corps in Virginia is reopening Friday, with a newly renovated space and several upcoming events. The museum had been closed since January due to "significant" logistical and engineering processes needed to install two new historic aircraft in the space, museum officials said. The museum opened its doors Friday with the new aircraft on display: A restored World War II SBD Dauntless dive bomber is suspended from the ceiling of the central gallery, and a new tableau features a Vietnam-era Sikorsky UH-34D helicopter, the museum said. "The addition of the aircraft is part of the Museum's ongoing efforts to more completely interpret the history of the Marine Corps and share more of the collection," Museum Director Lin Ezell said on the museum's official website. But the new additions are just the start. In March, the museum also broke ground on another 117,000 square feet of new space, which will ultimately feature a giant-screen theater, a children's gallery, a sports gallery, a Hall of Valor, two additional historical galleries and more. The new galleries will begin opening in 2017, with all exhibitions completed by 2020. Next Saturday, April 9, Family Day will offer an afternoon of kid-friendly activities throughout the museum and on the grounds, featuring games, crafts, learning activities and more from noon to 3 p.m.
Other special upcoming events include History in Your Hands (April 17), a program for visitors who are blind or who have low vision, and Geography Day (April 20). You'll find the museum at 18900 Jefferson Davis Highway in Triangle, Virginia, about 34 miles from downtown D.C. The museum, which launched in 2006, is free and open to the public.